The Social Security Administration (SSA) recently announced plans to increase its oversight of judges (ALJs) in the disability determination process. 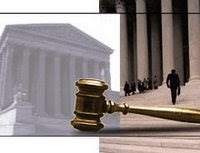 February 25, 2014 /24-7PressRelease/ — In an effort to improve consistency in the disability determination process (SSDI), the Social Security Administration (SSA) recently announced plans to step up its oversight of the administrative law judges (ALJ) who are responsible for awarding or denying disability benefits. The Social Security Disability Insurance program provides financial benefits to people who are unable to work because of a mental or physical disability. The program has increased substantially in the years since the U.S. economy took a downturn in 2008, and there are now approximately 11 million people receiving disability benefits nationwide. New job descriptions for judges To expand its oversight of the eligibility determination process, the SSA is rewriting the job descriptions of approximately 1,500 judges, who in the past have been given broad discretion over the outcome of eligibility hearings. In recent years, these eligibility hearings have yielded notoriously unpredictable results. According to a 2011 report by the Wall Street Journal, an applicant’s likelihood of being awarded disability benefits can vary dramatically depending on the judge; while a handful of judges award benefits in nine cases out of ten, others deny benefits nearly as often. The new job descriptions will include language stating that the judges are subject to supervision and will remove the words “complete individual independence,” the WSJ reported. It is hoped that the changes will increase accountability among the judges and allow the SSA to take corrective measures when judges award or deny benefits inappropriately. 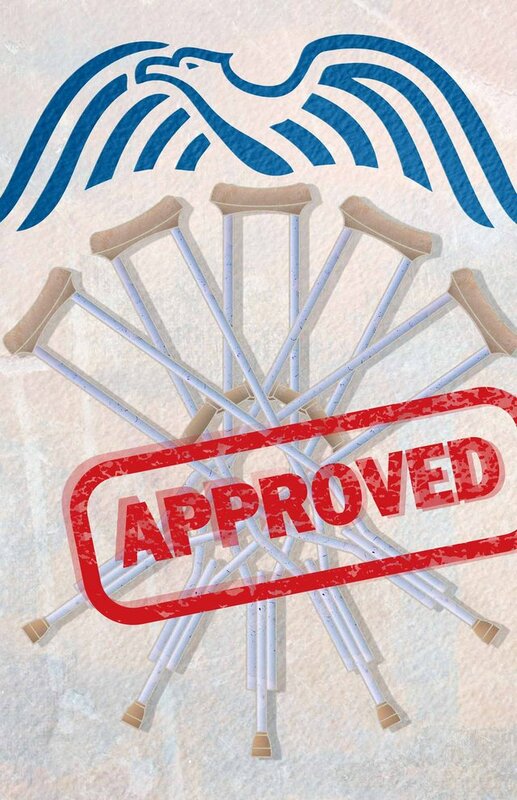 Before becoming eligible to receive SSDI benefits, an applicant must first establish that he or she meets the SSA’s requirements for being considered “disabled.” To do so, the applicant must demonstrate that each of the following is true: – The individual cannot work because of a medical condition. – The condition has lasted or is expected to last for a year or more, or is expected to result in death. While the process of applying for SSDI benefits may seem relatively straightforward, in practice it can be cumbersome, time consuming and often frustrating. Not only is it necessary to submit medical records and other evidence of disability, but in most cases applicants are also required to attend an eligibility hearing before an administrative law judge. Overall, first-time disability applicants are denied benefits as much as, according to some estimates, but a majority of denied applicants who pursue an appeal are eventually awarded benefits. In many cases, working with an experienced Social Security Disability lawyer can significantly improve an applicant’s chances of being awarded benefits, whether it is a first-time application or an appeal. New hearings for SS claimants who received unfavorable decisions by ALJs. A court has approved a settlement agreement in a class action lawsuit involving Social Security Disability claimants in the State of New York. The agreement will provide claimants with new hearings. January 24, 2014 – A settlement agreement has been reached and approved by the court in a class action lawsuit involving Social Security Disability claimants in the State of New York. Among the different types of relief stipulated in the agreement, claimants are to receive fresh hearings in front of new Administrative Law Judges, or ALJs. In 2011, various Social Security Disability applicants who sought disability benefits received unfavorable or partially favorable judgements by one of five ALJs from the Queens, New York Office of Disability Adjudication and Review (SSA/ODAR). The claimants argued that the rulings were biased. In April 2011, they filed a lawsuit against the Social Security Administration. The case was later filed as a class action and expanded to include approximately 4,000 total Social Security Disability claimants. A settlement agreement was officially approved by the United States District Court for the Eastern District of New York. The approval came after written comments provided to the court as well as information obtained from the settlement hearings, among other evidence, were reviewed. The Settlement Agreement includes individual, retrospective and prospective relief for claimants, new training and mentoring for ALJs, and a new Social Security Ruling, or SSR. In more specific terms, the Settlement Agreement stipulates that all eligible claimants, those who received unfavorable or partially favorable decisions from one of the named ALJ, defendant judges during the period stipulated in the complaint, will receive new hearings. 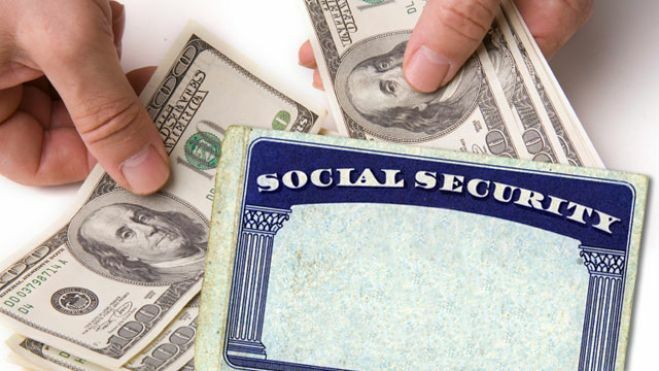 The Social Security Administration indicates plans to send out notices to each claimant by the end of next month. Eligible claimants are provided 60 days to request a new hearing once their notices are received. The Settlement also stipulates that an automatic review will be conducted by the SSA’s Appeals Council (A/C)for any new claimants who receive unfavorable decisions (those that commenced October 2013 and for 30 months thereafter) by any one of the five ALJs named in the recent lawsuit. If the A/C determines any unfavorable decisions are legally insufficient, the claimant will automatically receive a fresh hearing in front of a new ALJ. NYC Social Security Disability Attorneys. The Klein Law Group, P.C., fights for the rights of those who have been hurt at work or are unable to qualify for disability pay. Practicing solely in New York state, with lawyers are highly knowledgeable in the area of New York workers’ compensation law, as well as the complex workings of the federal Social Security Administration. The Klein Law Group, P.C., can confidently take your case at any stage, from initial application through final appeal before the Workers’ Compensation Board. In the rare event that you do not receive benefits, you pay no attorney’s fees. The Klein Law Group, P.C., offers free consultations to discuss your rights and review your case. Contact us to arrange a consultation with one of our experienced New York workers’ comp attorneys. A Social Security hearing is not a trial; it is a fact finding inquiry. The system is not even an adversarial system as defined by the judicial process. In an adversarial system, both sides are represented. In the present Social Security Disability Claims System the claimant can bring an attorney, but the system does not provide the government (SSA) with one. The taxpayers have no advocate on their behalf to ask questions, challenge medical evidence or review the 500 to 700 pages of materials that make up a typical case file. The (Social Security Administration) judicial system is not run by anyone with real judicial experience. It is at the mercy of unelected bureaucrats whose only concern is how many cases each judge can churn out and how fast he or she can do it. An adversarial system with both sides represented and all evidence on the table is the best way to root out fraud and ensure that legitimate claims are paid. CHARLOTTE, N.C. — (QUOTE) IT’S hard to imagine a more cynical fraud. According to an indictment unsealed last week by the Manhattan district attorney’s office, post-9/11 phobias of airplanes and skyscrapers were among the fictitious ailments described by retired New York City police officers and firefighters who, in a scheme involving as many as 1,000 people, are accused of ripping off the Social Security disability system by filing false claims. As an administrative law judge (ALJ) responsible for hearing Social Security disability cases (SSDI), I’m more familiar than most people with the system. But everyone has a right to be outraged by the recent charges. Officials estimate that the fraud cost the federal government $400 million. If true, it is the largest theft in the history of Social Security. According to court papers, the fraudsters claimed to be so ill that they could not leave their homes to work, but many posted photographs on Facebook of themselves on motorcycles and water scooters, fishing and playing sports. How did they expect to get away with it? Well, here’s a little-known fact. Neither the staff members of the Social Security Administration, who review initial claims, nor judges like myself, who hear disputed cases, are allowed to look at Facebook in the context of a case. Even if something in the case file suggests a claimant is not telling the whole truth, Social Security Administration policy prevents us from looking at social media, for fear that we cannot be trusted to properly assess the information gathered there. No Facebook, no Pinterest, no Twitter, no Tumblr. None of the sources that most employers routinely use to check the credibility of potential employees are available to us. It gets worse. When a disputed case comes before an administrative law judge, a vast majority of claimants bring an attorney. After all, the average claim, if successful, will yield a payout of some $300,000 in lifetime benefits. With so much at stake, it’s only reasonable that a person who believes that he has wrongly been denied benefits would hire a lawyer. But isn’t it equally reasonable that the taxpayers should have an attorney present to challenge a claim that might be false? Sorry, no luck. When I conduct a hearing (which occurs with no members of the press or public present, because of privacy concerns), the claimant can bring an attorney, but the system does not provide the government (SSA) with one. The taxpayers have no advocate on their behalf to ask questions, challenge medical evidence or review the 500 to 700 pages of materials that make up a typical case file. Not only that, but because of Social Security Administration policy, I am no longer allowed to order independent psychological testing to help determine whether a claimant is telling the truth. Social Security disability courts have millions of claimants and constitute one of the world’s largest judicial systems. But the (Social Security judicial system) system is not run by anyone with real judicial experience. Instead, we are at the mercy of unelected bureaucrats whose only concern is how many cases each judge can churn out and how fast we can do it. The Social Security Administration is currently run by an acting commissioner; President Obama should appoint a permanent leader with recognized professional experience in the field of social insurance. The Association of Administrative Law Judges AALJ), for which I serve as president, favors modernizing disability hearings so that we can give claimants a fair hearing while also protecting taxpayers. Our courtrooms ought to look more like what you see on “Law and Order” or “The Good Wife.” Each side should have an advocate, allowing judges to narrow the facts in dispute and apply the law in a neutral manner. And judges and their staff members should be able to use social media, including Facebook. Though it is not clear from the Manhattan district attorney’s indictment if any of the claims in question ever wound up before an ALJ, it is clear than the current antiquated system handicaps the effective review of cases and encourages brazen behavior. D. Randall Frye is an administrative law judge for the United States Social Security Administration and the President of the AALJ, Association of Administrative Law Judges. Social Security Disability hearings are not trials. They are more in the nature of fact finding inquiries. They are presided over by an administrative law judge (ALJ), who is trained in the law. 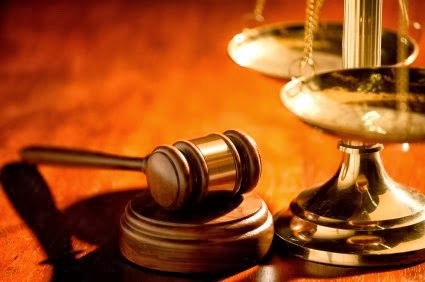 At a hearing only one side of the case is present and represented by an attorney or a paralegal. That is the claimant’s side. If only one side of a controversy is present for the hearing, then why does the claimant need to have a judge presiding? When the Government wants to win a case, Congress designs a system that provides it with an advantage. In Immigration Hearings, the Government is represented by an attorney. When the Government is a party to a hearing before the Supreme Court, it is represented by the Solicitor General. In any other federal judicial forum where the Government has an interest, the Attorney General will ensure that the Government is adequately represented. 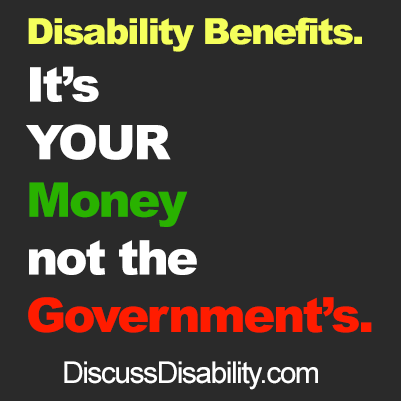 In Social Security Disability hearings the Government is not represented. The Government is not even present. That is probably because the system was designed to give the claimant an advantage. The case is the claimant’s case, to win or to lose. A judge is not needed to collect the medical records and listen to testimony that is not really cross-examined. The presiding officer is forced to accept the claimant’s testimony, no matter how farfetched it may be. The only evidence available to impeach the testimony of the witnesses is the evidence that the claimant provides. This could hardly be considered cross-examination. In a trial there are usually two sides to a controversy. Each side is required to be present but may or may not be represented. A judge acts as referee to ensure that the rules of evidence and procedure are followed. There may or may not be a jury to determine the facts. In a Social Security hearing only one side is present; that is the claimant, and his or her representative. The case is against the Government, but the Government is not present. Neither is the Government represented. That is because the system was designed to ensure that the claimant wins. After all, he is only asking for what is rightfully his. He has a social contract with the Government. He has paid his premiums in the form of payroll taxes and he is fully insured. Instead of honoring its obligations under the contract the Government first tries to delay or deny the claim. This is just plain bad faith. SSDI payments have risen dramatically in recent years. A combination of the economic downtown driving more unemployed workers to the program and liberal awarding of benefits by some judges has raised SSDI rolls 20 percent in the last six years to 12 million people, with an annual budget of $135 billion. At this rate, the disability program will have spent all its reserves by 2016, forcing either an increase in payroll taxes or a cut in benefits. The Journal reports that the administrative law judges (ALJ) will no longer have “complete individual independence.” Instead, they will be subject to supervision and management from the Social Security Administration (SSA). The Association of Administrative Law Judges (AALJ) , the union representing the judges says it fears that will open the process to political interference, but that’s a straw man. 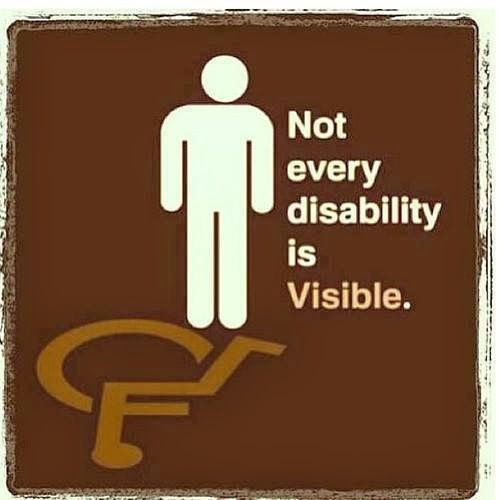 Many of these disability judges need someone looking over their shoulder. The poster boy for waste, fraud and abuse in SSDI is ALJ D.B. Daugherty of Huntington. As a Social Security administrative law judge, Daugherty awarded benefits in virtually every case… thousands of them. He worked closely with attorney Attorney Eric Conn, who advertised heavily in West Virginia and Kentucky, looking for potential clients. According to the Journal, Daugherty once told a colleague, “Some of these judges act like it’s their own damn money we’re giving away.” Daugherty resigned after the Journal first reported the story in 2011. The fear was that well-intentioned assistance for any person with impairments of mind or body that would keep him from being gainfully employed for their rest of his life would devolve into a version of unemployment. That warning has proven prophetic as this country’s Social Security Disability Insurance (SSDI) program has spun out of control and is now on course to run out of money by 2016. Sunday night, CBS 60 Minutes aired a segment entitled “Disability USA,” which probed the abuse of SSDI. Steve Kroft reported that SSDI rolls have risen 20 percent just in the last six years to 12 million people, with a budget of $135 billion. A big reason for the surge in SSDI is that people who have had their claims denied are hiring law firms that specialize in winning appeals. In 2011, the Wall Street Journal’s Damian Paletta reported on one Huntington-based disability judge who nearly always sided with the claimant. 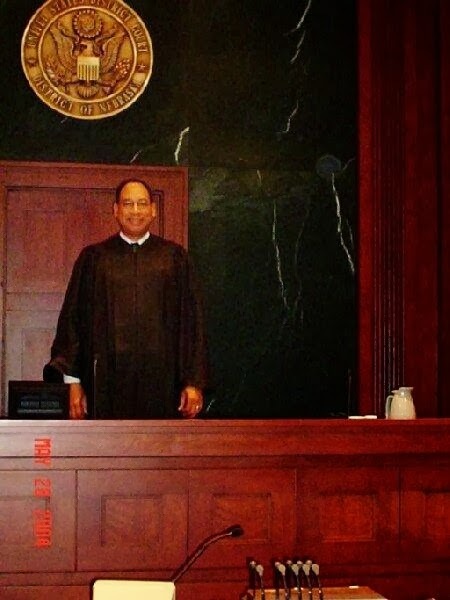 Judge David B. “D.B.” Daugherty awarded benefits in all but four of 1,284 cases during one fiscal year. The national average is 60 percent approval. A report by the Committee on Homeland Security and Government Affairs estimates that Daugherty awarded more than $2.5 billion in benefits in the last 7 years of his career. The Journal reported that Daugherty worked closely with lawyer Eric Conn, who advertises heavily in southern West Virginia and eastern Kentucky, looking for potential clients. 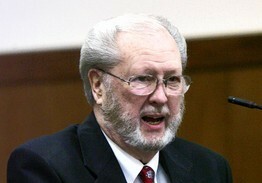 Daugherty resigned after the Journal’s reports. Conn, who continues a thriving practice in SSDI cases, was evasive in a brief interview with 60 Minutes about his relationship with the former judge. The Committee report says Daugherty’s bank records show $96,000 in cash deposits from 2003 to 2011, for which Daugherty refused to explain the origin or source of the funds. Frankly, it’s predictable that Americans hit by hard economic times are tempted to latch on to any government help they can, especially when there is an alliance of lawyers, doctors and judges willing to shepherd them through the system. In doing so, however, they are squandering taxpayer dollars and bankrupting a legitimate program. Meanwhile, earlier this year federal authorities arrested 75 people in Puerto Rico on charges of defrauding SSDI out of millions of dollars. A former Social Security employee teamed with complicit doctors to falsely diagnose individuals as mentally incapable of working. But the problem is not just the outliers like Daugherty and the Puerto Rican scam. SSDI is an essential part of the country’s safety net. Those who are impaired, either in mind or body, and cannot work are entitled by law to support. However, it’s important to remember that SSDI is not another option for the unemployed, nor should it be an easy target for scammers. Politicians like to say they can save taxpayer dollars by tightening up on waste, fraud and abuse–it’s easier than proposing real budget cuts–but in the case of SSDI, they’re right about the profligate misspending. During the House Ways and Means Subcommittee on Social Security hearing on Thursday January 16th, Rep. Tim Griffin (R- Ark.) raised questions about the disability program’s efficiency and accuracy in the wake of recent high-profile fraud cases. Social Security Administration Inspector General Patrick O’Carroll and SSA Acting Commissioner Carolyn Colvin testified before the subcommittee about the SSA’s ability to root out fraud and handle employees who are implicated in a scheme. Colvin testified that 99 percent of disability payments are made correctly. Griffin, however, noted recent disability schemes in New York, Puerto Rico and West Virginia and challenged the accuracy of Colvin’s claim. That talking point, Griffin said, “needs to be erased” because the nature of fraud makes it impossible to know how rampant abuse of Social Security disability has become. Griffin also questioned the SSA’s ability to reprimand and fire SSA employees who are investigated or implicated in disability schemes. O’Carroll said the preference is to place an employee on leave without pay while investigating criminal activities; however, sometimes employees are left in place and monitored in an effort to identify co-conspirators. Ms. Colvin is running the agency until the White House nominates a commissioner, and the White House has not signaled when it might move on the vacancy. Attorney John Bednarz thought he had a clear-cut case to win Social Security disability benefits (SSID) for his client. The 39-year-old man had Huntington’s disease, a debilitating and often fatal disorder that caused tremors in his hands, left him off-balance and suffering from frequent bouts of confusion. An employee at the Social Security Administration (SSA), State Disability Determination Service (DDS) didn’t see it that way, however, and denied the initial claim twice. Mr. Bednarz appealed the case to an administrative law judge (ALJ), who upheld the Agency’s decision. Ultimately his client prevailed after Mr. Bednarz filed an appeal in Federal District Court. It was a long struggle that took far more time than it should have, he said. His client is not alone in his struggle. Administrative law judges (ALJ) who hear cases for the Social Security Administration’s Office of Disability Adjudication and Review (ODAR) have become more selective in the cases they approve, data show, forcing an increasing number of claimants to file suit in federal court. In the Wilkes-Barre ODAR, the percentage of cases approved has steadily declined the past three years, mirroring a nationwide trend. In fiscal 2010, the office granted 64 percent of the cases. That dropped to 54 percent in 2011, 48 percent in 2012 and 47 percent in 2013, according to data compiled by Social Security. Statewide, 42 percent of cases were approved at the administrative law judge level in 2013. The increase in denials has led to a huge spike in appeals filed in federal court for the Middle District of Pennsylvania, a review of the court docket shows. As of Nov. 22, 204 appeals were filed, compared to 117 in all of 2012, a 74 percent increase. That compares to 90 appeals in 2011 and 113 in 2010. Officials with SSA say the higher denial rate is partly attributable to an increase in filings due to the poor economy, which historically leads more people with marginal disabilities to seek benefits. Several attorneys who represent claimants agree economic factors may have played a role. But they’re concerned the system has become increasingly stacked against claimants due, in part, to the SSA’s propensity to hire judges who formerly worked for Social Security. There is also concern judges are being subjected to outside pressure that may make them more prone to deny cases. In 2013, the Social Security Disability system paid 8.9 million workers an average monthly benefit of $1,129 at a total cost of $10 billion, according to the agency. To qualify, claimants must prove they are unable to engage “any substantial gainful activity” due to a mental or physical impairment which has lasted 12 months, is expected last 12 months or will result in death. The initial determination is made by the State DDS based solely on a review of medical records, attorneys said. Roughly 25 to 35 percent of claimants are approved at that level, Mr. Rollins said. If denied, the case goes before an ALJ – an attorney hired through Social Security to conduct an independent review. The judge can hold a hearing that includes testimony from the claimant and physicians. The are currently 1,500 ALJs in the nation. In Pennsylvania, judges preside in Wilkes-Barre, Harrisburg and Philadelphia. If the ALJ denies the claim, it goes to the Appeals Council within Social Security. The final step is federal court. A judge will review the entire record and has the power to award benefits or return the case to the ALJ for further review. There are no national statics on the percentage of cases remanded. A review of the federal court docket in the Middle District of Pennsylvania shows that of the 90 appeals filed in 2011, the last year for which full data are available, 56 were either affirmed, dismissed or withdrawn by the plaintiffs. Most of the cases filed in 2012 and 2013 remain pending. Mark Hinkle, a spokesman for SSA, said there is always a debate over whether the agency approves or disapproves too many cases. The agency does not seek to influence ALJs, who have complete independence. “Our judges have qualified decisional independence to enhance public confidence in the fairness of our process, to protect people applying for disability, and to ensure that they issue decisions free from pressure to reach a particular result,” he said in an email. As for the overall decline in approval rates, Mr. Hinkle said the agency believes several factors have played a role. “We have seen an increase in the number of disability cases based on the aging of the baby boom generation and the economy, and when this occurs it is expected that the approval rate will decrease when the number of applications increase,” Mr. Hinkle said. Jonathan Stein, an attorney with Community Legal Services in Philadelphia, said he believes the decrease in ALJ approvals is partly tied to a change in the make up of judges hired to review the cases. Under pressure to speed up review of cases, the SSA hired an additional 500 ALJs within the past three years. Mr. Stein said. A large percentage of those attorneys previously worked for SSA, Mr. Stein said. ALJs are supposed to issue rulings based solely on the evidence. Mr. Stein said he can’t help but question whether their experience with the agency may influence how they view cases. Charles Hall, an attorney from North Carolina who writes a blog about Social Security issues, said there is also concern that the changing political climate toward entitlement programs and media stories that have focused on judges who have high approval ratings may be unduly influencing judges. Mr. Hall said SSAy may have unintentionally influencedALJs by publicly posting data on the percentage of cases they approve. If a judge’s rulings are out of whack with others within his or her region, that could play on their minds, he said. The data, which are available on SSA’s website, show approval rates vary significantly among judges. In Pennsylvania, Judge Craig De Bernardis in Wilkes-Barre and Judge Christopher Bridges in Harrisburg had some of the highest approval rates between 2010 and 2013, data show. Judge De Bernardis approved 97 percent of his cases in 2010 and 96 percent in 2011, the two years he served. Judge Bridges’ approval rating varied from 90 to 96 percent between 2010 and 2013. The highest approval rating in the Wilkes-Barre office in 2013 belonged to Judge Eugene Brady, who approved 56 percent of cases. On the other end of the spectrum are Judge Michelle Wolfe, who approved 34 percent of the cases, and Judge Therese Hardiman, who approved 38 percent of her cases. Several judges in Wilkes-Barre also saw significant drops in their approval percentages since 2010. The most notable change is Judge Hardiman. In 2010, she approved 73 percent of the cases she heard. That dropped to just 38 percent in 2013. Mr. Rollins said he’s also concerned news media stories that focused on abuses within the system and judges who award a high percentage of cases may influence decisions. He noted coverage of a recent Senate investigation that raised questions of whether a West Virginia judge had colluded with an attorney to approve an inordinate number of the attorney’s cases. The investigation, led by Sen. Tom Coburn of Oklahoma, revealed Judge David Daugherty, who no longer hears cases, approved 1,375 of cases filed by attorney Eric Conn, denying only four. While they have concerns about the system, Mr. Rollins stressed he believes the majority of judges try to be fair. The cases they review are rarely clear cut, he said, and require analysis of hundreds of pages of medical records. “I think, by and large, they do the right thing,” Mr. Rollins said. Mr. Bednarz, the attorney for the Wilkes-Barre man with Huntington’s disease, said he also feels most judges do the best they can. He fears legitimate cases are being lost, however, because many claimants don’t have attorneys to represent them. Attorneys are only paid in disability cases if they obtain benefits for their client. Because the cases are so difficult, attorneys have become increasingly selective about which cases they will take, he said. That means some marginal cases that may have merit fall by the wayside. “It is much more difficult than it has ever been being a social security practitioner,” he said. Mr. Smith was initially treated with chiropractic care and physical therapy. On March 27, 1989, a Magnetic Resonance Imaging (MRI) test revealed moderately severe central disc herniations at L4-5 and at L5-S1 of the lumbar spine. After experiencing numbness and further pain, Mr. Smith sought treatment from Dr. Omar Epps, a neurosurgeon. In July 1989, these symptoms abated and Mr. Smith received physical therapy for lower back problems until August 1989. Surgery scheduled for November 11, 1989 was cancelled. Mr. Smith continued to improve until a slip and fall accident in a grocery store on December 19, 1989. After reporting some improvement, he declined acupuncture treatment in January 1990. On February 22, 1990, Dr. Epps determined that Mr. Smith’s condition was permanent and stationary, but that he had shown marked improvement in both subjective assessment and objective findings. Dr. Epps concluded that Mr. Smith could perform only light work that did not involve prolonged standing or sitting. Light work involves lifting a maximum of 25 pounds occasionally and 10 pounds frequently. Mr. Smith again received treatment at the LAC/USC center from August 5, 1992 to February 10, 1993. From November 1992 to January 1993, he reported pain relief due to epidural blocks. In February 1993, Mr. Smith’s treating physician reported that he had no disability. The opinion of a treating physician is entitled to controlling weight. The District Court exercises de novo review of district court decisions in Social Security disability cases. White v. Comm’r of Soc. Sec., 572 F.3d 272, 281 (6th Cir.2009); Lindsley v. Comm’r of Soc. Sec., 560 F.3d 601, 604 (6th Cir.2009). The Social Security Commissioner’s conclusion will be affirmed absent a determination that the ALJ failed to apply the correct legal standard or made fact findings unsupported by substantial evidence in the record. White, 572 F.3d at 281 (citing 42 U.S.C. § 405(g)). Substantial evidence is “such relevant evidence as a reasonable mind might accept as adequate to support a conclusion.” Lindsley, 560 F.3d at 604 (citing Richardson v. Perales, 402 U.S. 389, 401 (1971)); see also Walker v. Sec’y of Health and Human Services, 980 F.2d 1066, 1070 (6th Cir.1992); McGlothin v. Comm’r of Soc. Sec., 299 Fed. Appx. 516, 522 (6th Cir.2008) (noting that substantial evidence is “more than a scintilla of evidence but less than a preponderance; it is such relevant evidence as a reasonable mind might accept as adequate to support a conclusion.”) (internal quotations omitted). In deciding whether to affirm the Commissioner’s decision, “it is not necessary that the District Court agree with the Commissioner’s finding, as long as it is substantially supported in the record.” Beinlich v. Comm’r of Soc. Sec., 345 Fed.Appx. 163, 167 (6th Cir.2009). Even if the District Court might have reached a contrary conclusion of fact, the Commissioner’s decision must be affirmed so long as it is supported by substantial evidence. Lindsley, 560 F .3d at 604-05 (administrative findings are not subject to reversal merely because substantial evidence exists in the record to support a different conclusion) (quoting Felisky v. Bowen, 35 F.3d 1027, 1035 (6th Cir.1994)); Roe v. Apfel, 211 F.3d 1270, at *7 (6th Cir. April 25, 2000) (unpublished table decision). The Ninth Circuit Court found the ALJ’s explanation sufficient. The degenerative disc disease of the claimant’s spine, and most particularly the herniated disc shown on MRI studies in August 1990 and in August 1992, did not meet or equal the requisite level of severity of section 1.05(c) of the Listing of Impairments inasmuch as a pain syndrome requiring ongoing treatment for back pain is not shown, and as there had been no dermatomal neurological deficits on clinical examination. Third: Mr. Smith contended that the ALJ incorrectly found that his claims of pain were contradicted by Dr. Luke’s medical findings and statements made to Dr. Luke by Mr. Smith. There is substantial evidence for the ALJ’s finding. Fourth: Also Mr. Smith maintained that the ALJ incorrectly found that records of the LAC/USC Medical Center indicated that he was not disabled. There was substantial evidence for the ALJ’s finding. Fifth: Mr. Smith argued that the ALJ incorrectly found a number of inconsistencies in his complaints about continuing and excruciating pain. ” ‘The ALJ is responsible for determining credibility and resolving conflicts in medical testimony.’ “( Saelee v. Chater, 94 F.3d 520, 522 (9th Cir.1996)) (quoting Magallanes v. Bowen, 881 F.2d 747, 752 (9th Cir.1989)). In addition to the deference accorded the ALJ’s findings of credibility, there was substantial evidence for the ALJ’s finding. Mr. Smith’s claim that the ALJ failed to meet its heavier burden when the claimant is without counsel to “scrupulously and conscientiously probe into, inquire of and explore for all relevant facts,” Vidal v. Harris, 637 F.2d 710, 713 (9th Cir.1981), was not persuasive. When the ALJ fails to meet his or her heavier burden for a claimant without counsel, remand is appropriate. Id. at 715. Considering that evidence of mental impairment (including alcohol abuse, anxiety and depression) was not fully raised by Mr. Smith before the ALJ, the ALJ satisfactorily met his heavier burden to explore all relevant facts under Vidal. Though the ALJ failed to obtain medical reports mentioned in state ALJ Hall’s decision, whether such reports should have been considered was within the sound discretion of the ALJ. Wilson v. Heckler, 761 F.2d 1383, 1385 (9th Cir.1985). Without a showing from Mr. Smith that the ALJ abused his discretion, the Circuit Court would not upset the ALJ’s discretionary judgment. Mr. Smith argued that the ALJ failed to give due consideration to state ALJ Hall’s ruling that he was disabled. The ALJ must explain why significant and probative evidence has been rejected. Vincent v. Heckler, 739 F.2d 1393, 1395 (9th Cir.1984). The determinations of another agency, however, are not binding on the Social Security Commissioner and in his or her discretion may give it much or little weight. Wilson, 761 F.2d at 1385. Mr. Smith’s reliance on Allen v. Heckler, 749 F.2d 577, 579 (9th Cir.1984) (a prior determination of disability gives rise to a presumption of disability requiring the government to show that a claimant has improved in order to deny benefits), is misplaced. Allen, unlike the instant case, involved a prior determination by the same agency and in order to terminate benefits the government had to show that the claimant had improved. Id. Substantial evidence exists to support the ALJ’s finding that Mr. Smith can perform a full range of sedentary work. Mr. Smith’s reliance on Delgado v. Heckler, 722 F.2d 570, 574 (9th Cir.1983) (“A man who cannot walk, stand or sit for over one hour does not have the capacity to do most jobs available in the national economy.”) for his claim that he cannot perform sedentary work is not persuasive. Mr. Smith only claims that he cannot sit for prolonged periods, he does not fix a particular duration as to how long that he can or cannot sit. Based not only on objective medical evidence but also on Mr. Smith’s description of his daily activities of prolonged reading, watching TV, talking on the telephone etc., and his lack of credibility regarding his claims of severe pain, substantial evidence exists that Mr. Smith can perform sedentary work. Even Dr. Espinosa, the physician whose determinations and diagnoses Mr. Smith principally relies on, opined that Makshanoff could perform light work. Mr. Smith claims that the ALJ’s four cited reasons for concluding that his testimony regarding severe pain was not credible is not based on substantial evidence. Despite Mr. Smith’s arguments, there is substantial evidence to support the ALJ’s finding that since his medical records show significant improvement in his experiences of pain, his claims of no significant relief from pain are not credible. Mr. Smith’s argument that substantial evidence does not exist to support the ALJ’s second finding that Mr. Smith’s refusal of surgery “reflects a lack of motivation to improve and return to work,” ER at 8, is not entirely persuasive. Although failure to seek medical treatment cannot be used to infer a lack of credibility of the claimant regarding his or her experience of pain, Penny v. Sullivan, 2 F.3d 953, 958 (9th Cir.1993), the unexplained absence of treatment for pain may be used to impeach credibility. Orteza v. Shalala, 50 F.3d 748, 750-51 (9th Cir.1995). While Mr. Smith’s present explanations for the absence of treatment for his pain may be compelling, the explanations were not offered to the ALJ at the hearing. The ALJ’s determination was supported by substantial evidence. Substantial evidence supports the ALJ’s third finding that Dr. Luke’s medical records show Mr. Smith’s significant improvement and Mr. Smith’s statement to Dr. Luke that he felt well undermine Mr. Smith’s allegation of continuing severe pain. The ALJ’s fourth finding that physicians rejected Mr. Smith as a suitable candidate for surgery because his claimed back pain failed to match any anatomical distribution is also supported by substantial evidence. Mr. Smith’s argument that allegations of pain cannot be discredited solely on the basis of a lack of objective medical evidence, Penny, 2 F.3d at 957, is not persuasive. The ALJ discredits the pain allegations not merely from objective medical evidence but also from statements made by Mr. Smith about his daily routine. Doing laundry, reading law and history for at least 6 hours a day, playing a musical instrument, watching television and talking on the telephone with friends is incompatible with the pain that Mr. Smith claims. See Fair v. Bowen, 885 F.2d 597, 604 (1989); Orteza, 50 F.3d at 750-51. Mr. Smith also claims that if the ALJ noted the disparity between the objective medical evidence and his allegations of severe pain “the possibility of a mental impairment as the basis for the pain should have been investigated.” Bunnell, 947 F.2d at 343. Since the ALJ did not consider the possibility of mental impairment, Mr. Smith argues, the ALJ’s determination is legally deficient. The ALJ’s findings that Mr. Smith’s pain allegations were not credible, his refusal to seek treatment, and his lack of motivation to improve and return to work, however, support an inference that the ALJ found Mr. Smith’s pain allegations to be exaggerated so as to obtain benefits and not work which would foreclose the necessity of considering mental impairment. See Saelee, 94 F.3d at 522. Mr. Smith contends that the magistrate, in adopting the ALJ’s incorrect findings, committed three abuses of discretion. First, Mr. Smith argues the magistrate erroneously found that the ALJ properly developed the record since the magistrate found that there was no reason for the ALJ to inquire into a mental impairment. As discussed in the analysis to issue III, the ALJ satisfactorily met his heavier burden, under the Vidal standard, to develop a full record. Third, Mr. Smith asserts that the magistrate erroneously accepted the ALJ’s determination to reject Dr. Espinosa’s opinion that Mr. Smith was precluded from prolonged sitting. As discussed in the analysis of issue I, given the substantial evidence regarding Mr. Smith’s daily activities and his unwillingness to seek treatment, the magistrate properly accepted the ALJ’s determination. We AFFIRM the district court’s grant of summary judgment in favor of Shirley S. Chater, Commissioner of the Social Security Administration. Plaintiff filed an application for a period of disability and disability insurance benefits [DIB] and Supplemental Security Income [SSI] on February 15, 2006, alleging an onset of disability of January 1, 2002 . Plaintiff has acquired sufficient quarters of coverage to remain insured through June 30, 2004. The Agency denied this application in initial and reconsideration determinations. Plaintiff timely requested and appeared at a hearing on October 16, 2007 before Administrative Law Judge (ALJ) Steven D. Slahta. In a hearing decision dated February 23, 2008, the ALJ found Plaintiff not disabled. The ALJ’s hearing decision rested as the final decision of the Commissioner when the Appeals Council denied Plaintiff’s request for review, on April 24, 2009. [Tr. 3-5]. The ALJ’s final hearing decision is now ripe for review under sections 205(g) and 1631(c)(3) of the Social Security Act, 42 U.S.C. §§ 405(g), 1383 (c)(3). For the reasons set forth below, the Court finds that the Commissioner’s decision is due to be AFFIRMED. The decision of Administrative Law Judge Steven D. Slahta, dated December 10, 2007, found Plaintiff was not under a disability as defined in the Social Security Act, at any time from January 1, 2002, (alleged onset date), through June 30, 2004 (date last insured “DLI”) 20 C.F.R. 404.1520(g). In reviewing a decision by the Commissioner, the District Court is bound to uphold the Commissioner’s findings if they are supported by substantial evidence and based upon proper legal standards. 42 U.S.C. §§ 405(g), 1383(c)(3); Lewis v. Callahan, 125 F.3d 1436, 1439-40 (11th Cir. 1997). Factual findings are conclusive if supported by “substantial evidence,” which is more than a scintilla and consists of such relevant evidence as a reasonable person would accept as adequate to support a conclusion. Lewis v. Callahan, 125 F.3d at 1440. The Court does not decide the facts anew, reweigh the evidence, or substitute its judgment for that of the Commissioner. Wilson v. Barnhart, 284 F.3d 1219, 1221 (11th Cir. 2002). If the Commissioner’s decision is supported by substantial evidence, the Court must affirm even if the evidence predominates against the decision. Wilson v. Barnhart, 284 F.3d at 1291. However, the Court must conduct an exacting examination of whether the Commissioner followed the appropriate legal standards in deciding the claim and reached the correct legal conclusions. Wilson v. Barnhart, 284 F.3d at 1291. The failure to apply the correct law or to provide the reviewing court with sufficient reasoning for determining that the proper legal analysis has been conducted will mandate reversal. Keeton v. Department of Health and Human Servs., 21 F.3d at 1066. Plaintiff has an extensive history of gastric conditions, including irritable bowel syndrome, and reflux disease. On March 9, 2003, Plaintiff was diagnosed with probable acute cholecystitis, reflux disease, and irritable bowel syndrome (“IBS”). Plaintiff underwent surgery several days later and was diagnosed with acute calculous cholecystitis. Plaintiff continued to receive treatment through October 2004 with Dr. Andrew Conn.. On October 19, 2004, Plaintiff presented with abdominal cramping and frequent diarrhea. On October 27, 2004, Dr. Conn performed a colonoscopy. Dr. Conn’s notes post-op reveal “colon polyp, normal colon, probable irritable bowel syndrome (“IBS”). Plaintiff’s abdominal pain continued to be problematic, resulting in an additional emergency room visit on August 18, 2005, (past “DLI” of June 30, 2004) where Plaintiff was treated by Dr. A. Lafferty. Plaintiff was diagnosed with abdominal pain, vomiting and diarrhea with possible colitis. Plaintiff received normal saline, Levaquin, Flagyl, Phenergan and Dilaudid and was given an out-patient prescription of Flagyl, Leavquin, Phenergan and Vicodin. Dr. Lafferty’s report further stated that Plaintiff’s “[c]omplete blood count is within normal limits. Serum electrolytes were within normal limits with the exception of the glucose being 100. Liver function tests and lipase within normal limits. Urine pregnancy test negative. Urinalysis is normal”. Through September 2005, Plaintiff was treated by Dr. Asif H. Choudhury. Plaintiff was diagnosed with abdominal pain and referred for further testing. On September 6, 2005, Dr. Choudhury performed an esophagogastroduodenoscopy with biopsy and colonoscopy. Plaintiff’s post-operative diagnosis was gastritis. As of September 19, 2005, Plaintiff reported biliary type diarrhea. On September 21, 2005, Dr. Choudhury performed the following procedures: endoscopic retrograde, cholangiopancreatography with sphincterotomy. Dr. Choudhury post-operative diagnoses reflects: “[B]iliary dysfunction with Sphincter of Oddi Dysfunction, status post sphincterotomy was done and balloon sweeping was done without any evidence of any stone.” “[A]SSESSMENT: Most likely biliary Dysfunction with Sphincter of Oddi Dysfunction causing the problem, status post sphincterotomy was done”. Plaintiff was examined and treated by Jack Clark, DO, on March 8, 2006 for abdominal pain. Plaintiff reported that “everything hurts”. Plaintiff also reported being in pain for the past five years and having ongoing digestive symptoms with abdominal distress. She reported migraine headaches, anxiety, colitis, “IBS”, muscle and bone pain and numbness in her legs and the corners of her mouth. Dr. Clark’s examination also revealed Plaintiff was morbidly obese and looked depressed. Plaintiff had trigger points in the trapezius area, gluteal locations, trochanteric bursa, left elbow and low cervical area. Dr. Clark diagnosed “[f]ibromyalgia as part of effective spectrum disorder with migraine headache, chronic abdominal and pelvic pain, depression and anxiety”. Plaintiff returned to Dr. Clark in October 2007 with complaints of widespread pain. Dr. Clark noted that he had not seen Plaintiff in over a year. Examination revealed myofascial trigger point tenderness and allodynia. However, Plaintiff’s motor strength was intact. “[m]orbidly obese with HX IBS and alleging diffuse pains consistent with fibromyalgia. Recent Cellulitis right foot and talar fx, now healed. 69″ 284 lbs BP 112/70. Recent Exams show multiple tender trigger points but are otherwise normal”. “[T]his is a 37 yr old female at initial alleging fibromyalgia, insomnia as well as alleging depression. There is no hx of psych treatment. Cl was sent to examining Dr. Zsigmond for current psych interview and MSE. Dr. Zsigmond gives only the dx of Adjustment disorder to this applicant. I am not finding severe functional limits from mental at this time”. “… In 9/05 all tests, including EGD, colonoscopy, CAT scan of the abdomen and pelvis, were negative. She has had cholescystesctomy in the past. She underwent a total abdominal hysterectomy in 10/05 secondary to pelvic pain, fibroids and ovarian cysts. 3/06 follow-up showed no complaints and the pelvic exam was negative. In 3/06 she also underwent a full physical exam for possible Fibromyalgia — at that time she weighed 289 lbs., her lungs were clear, there was” FROM” [full range of motion] of all joints — the remainder of the exam was also unremarkable. “[C]1 is a 38 year old female alleging disability to chronic pain and anxiety. Cl was in Ruth Cooper CSU 08-06 got 1 day. Cl learned that her husband was with another woman. Cl OD’ed and was hospitalized. Cl had labile mood and was very attention seeking. DX Adjustment Disorder and Cocaine and Benzodazepine abuse. MER revealed that she had questionable credibility. Cl has had a recent life crisis in regard to her husband. Cl related that she tried to take her life, but she denied suicidal intent in the hospital. This goes along with the statement that she was needy and attention seeking”. “[H]er prognosis is poor due to her poorly managed mental illness and limited coping skills. On the AMS-III she obtained an immediate Memory score of 69 and General Memory score of 66 placing her in the Extremely Low range of memory functioning. However, her poorly managed mental illness and poor concentration impaired her performance”. “[R]ECOMMENDATION: “[O]btain health Insurance and continue appropriate medical care, including a neurological consultation given her report of recent “mini-stroke”. She would also benefit from individual counseling to address depression and enhance her coping skills”. Plaintiff contends the ALJ failed to adequately explain the basis for selectively crediting or discrediting multiple opinions from multiple medical sources. Plaintiff also contends that the rationale for discrediting these opinions centers mostly on the alleged lack of “objective” evidence, despite the continuous findings of trigger points and Plaintiff’s diagnosis of severe fibromyalgia. In June 2006, Dr. Asif Choudbury’s opinion was Plaintiff was unable to work due to a fibromyalgia attack. The ALJ gave little weight to this opinion as the examination showed only diffuse abdominal tenderness. Dr. Choudbury noted that Plaintiff’s gastro-intestinal symptoms worsened when her fibromyalgia worsened. However, the record shows that gastrointestinal work-ups were repeatedly within normal limits with little objective evidence to explain Plaintiff’s symptoms. Further, Dr. Choudhury noted that “[P]laintiff’s rheumatologist should decide whether or not Plaintiff needs disability due to fibomyalgia”, indicating he was unsure about his opinion. The ALJ properly found that Dr. Choudhury’s limitations were inconsistent with the evidence of record. Dr. Clark notes show that April 2006 through August 2006, Plaintiff showed positive fibomyalgia trigger points. However, he also noted that there were no deformities or synovitis over the joints, Plaintiff joints had full range of motion. Further, he noted that Plaintiff’s motor strength was intact throughout and there was equal and symmetric deep tendon reflexes. The ALJ properly found that Dr. Clark’s limitations were inconsistent with the evidence of record. Dr. Rabinowitz’s notes show that he was unable to test the Plaintiff’s gait because of her dependence on assistance (holding on to objects in the room) and a quad cane when ambulating. Further, that “her range of motion testing was impossible to adequately perform because Plaintiff complained of significant pain with even minimal range of motion testing of the ankles, knees, hip, and shoulders.” Significantly, there was no evidence of active joint inflammation, deformity, instability, or contracture. There was no evidence of paravertebral muscle spasm. Straight leg raising was negative bilaterally in the sitting position and postive bilaterally in the supine position. Grip strength was 4/5 in the left hand and could not be assessed in the right hand. Additionally, as noted above Dr. Rabinowitz found that Plaintiff was embellishing and magnifying her symptoms. The ALJ also properly found that Dr. Rabinowitz’s findings were based upon Plaintiff’s subjective complaints instead of valid objective findings. (Tr. 19). The ALJ reviewed the medical evidence of record and found the opinions of Dr. Clark and Dr. Rabinowitz’s were not supported by the medical evidence of record. (Tr. 19). Substantial evidence supports the ALJ’s conclusion that Plaintiff is capable of a wide range of sedentary work. Plaintiff argues that the ALJ erred in relying on the vocational expert’s (“VE”) testimony that conflicted with the Dictionary of Occupational Titles because the only occupations listed require more than the ability to perform one to two step tasks. Plaintiff’s “RFC” was for a wide range of sedentary work with a sit/stand option; “[s]he can occasionally climb, balance, kneel, stoop, crouch, and crawl” and was precluded from exposure to hazards. Plaintiff was limited to unskilled, low stress work defined as one to two step tasks, routine repetitive tasks, working primarily with things rather than people, and entry level positions. Plaintiff’s “RFC” precluded her from performing her past relevant work; therefore, the burden of production shifted to the Commissioner. To meet this burden, the Commissioner must show the existence of a significant number of other jobs in the national economy that the claimant is capable of performing, given her vocational profile and “RFC” Hale v. Bowen, 831 F.2d 1007, 1011 (11th Cir. 1987); Boyd v. Heckler, 704 F.2d 1207, 1209 (11th Cir 1983). If an ALJ finds that a claimant cannot perform a full range of work within a given exceptional level, “VE” testimony is the preferred method to determine whether the claimant’s non-exceptional impairments further diminish her ability to work at that level 20 C.F.R. §§ 404.1561, 416.961; Social Security Ruling (SSR) 83-12; see also Foote v. Chater, 67 F.3d 1553, 1559 (11th Cir. 1995). To determine the extent to which these limitations erode the unskilled sedentary occupational base, the ALJ asked the “VE” whether jobs exist in the national economy for an individual with Plaintiff’s age, education, work experience, and residual functional capacity. The “VE” testified that given all the factors the individual would be able to perform the requirements of representative occupations such as: surveillance systems monitor (DOT code 379.367-010: sedentary; SVP 2; 200 local jobs; 1,000 state jobs: 100,000 national jobs) and semi-conductor bonder (DOT code 726.685-0) and determined that there are jobs that exist in significant numbers in the national economy that Plaintiff can perform (20 C.F.R. 404.1560 (c), 404.1566, 416.96(c), and 416.966). The ALJ asked the “VE” whether an individual with Plaintiff’s “RFC” and other vocational characteristics could perform her past relevant work or other work . The “VE” testified that such an individual could not perform Plaintiff’s past relevant work, but could perform other work, including the jobs of surveillance system monitor and semi-conductor bonder as listed above . The “VE’s” testimony was based upon a hypothetical question that fairly set out all of Plaintiff’s limitations. The ALJ, therefore properly relied on the “VE’s testimony to find that Plaintiff could perform other work and was not disabled. Jones v. Apfel, 190 F.3d 1224, 1228 (11th Cir. 1999). The documentary evidence and an analysis of Plaintiff’s testimony supports the ALJ’s “RFC” determination and his hypothetical question to the “VE”. Therefore, pursuant to SSR 00-4p, the vocational expert’s testimony is consistent with the information contained in the Dictionary of Occupational Titles. Thus, Plaintiff failed to prove that a material inconsistency actually existed between the “VE”‘s testimony and the “DOT”. The ALJ applied the correct legal standards in evaluating Plaintiff’s case, and substantial evidence supports the ALJ’s finding that Plaintiff was not disabled. For the foregoing reasons, the ALJ’s decision is consistent with the requirements of law and supported by substantial evidence. Therefore, based on the application for a period of disability and disability insurance benefits protectively filed on February 15, 2006, Plaintiff is not disabled under sections 216(I) and 223(d) of the Social Security Act. 2. Rheumatologists may be better qualified to determine the effects of fibromyalgia because not all doctors are trained to recognize this disorder. See Stewart, 2000 U.S. App. LEXIS 33214, at *8 (citation omitted); see also Burroughs v. Massanari, 156 F.Supp. 2d 1350, 1367 (N.D. Ga 2001 (acknowledging that a specialist in rheumatology is better qualified to diagnose fibromyalgia and determine its effects on an individual); 20 C.F. R. § 404.1527(d)(5) (stating that specialists’ opinions on medical issues related to their area of specialty are generally given more weight). 3. 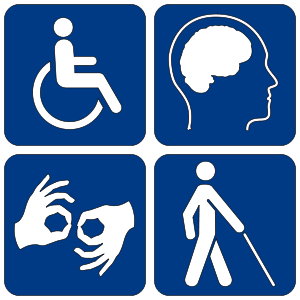 Transferability of job skills is not material to the determination of disability because using the Medical-Vocational Rules as a framework supports a finding that the claimant is “not disabled,” whether or not the claimant has transferable job skills. (SSR 82-41 and 20 C.F.R. Part 404, Subpart P, Appendix 2). The fraud is so rampant, and disability cases have so proliferated in recent years, that the Social Security’s Disability Trust Fund may run out of money in only 18 months, says Sen. Tom Coburn, R-Okla., whose office undertook the investigation. Coburn’s report on widespread fraud focuses in large part on a veritable “disability claim factory” allegedly run by Attorney Eric C. Conn out of his small office in Stanville, Kentucky, a region of the country where 10 to 15 percent of the population receives disability payments. Attorney Conn’s legal fate is now in the hands of the Justice Department. Social Security administrative Law Judges (ALJ) are approving more claims for disability benefits in 2013 than in previous years. A federal probe in 2011 revealed wide spread disparities in the approval rates of different states and among ALJs in the same office. The chances of being awarded disability benefits appear to be influenced by the State one lives in and the ALJ who is assigned to hear your case. Your chances increase dramatically if the medical doctor who examines you files a report stating that you cannot work because of a physical or mental impairment that prevents you from sitting for long periods of time or from concentrating on specific job assignments. Disorders of the back are the most common type of physical impairment. Physical evidence of a condition that can reasonably be expected to result in a serious impairment is easy to ascertain. Mental impairments are harder to prove than physical impairments. They are more subjective. 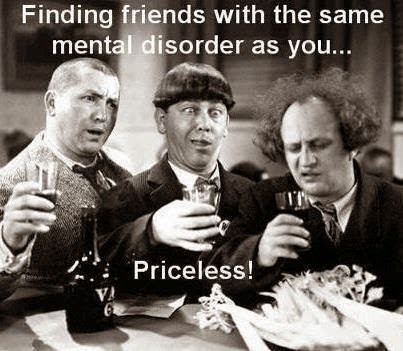 In the case of an allegation of a mental impairment, judges are forced to rely more heavily on the expert opinion of a trained mental health professional, usually a clinical psychologist or a psychiatrist. Federal investigators on Wednesday, August 21, searched six facilities in Puerto Rico as part of a broadening probe into potential widespread disability fraud. Investigators from the Federal Bureau of Investigation (FBI) and the Social Security Inspector General’s office (SSIG), among others, searched five doctors‘ offices and one other location as part of their sweep, a spokeswoman for the U.S. attorney said. The spokeswoman wouldn’t comment further, saying it was part of a continuing investigation and that the six search warrants were sealed. Doctors play a big role in determining whether people qualify for federal disability benefits because their recommendations often sway state disability determiners and Federal Administrative Law Judges (ALJ) working for the Social Security Administration. Criminal investigators have been looking into whether doctors were paid to improperly create documents detailing applicants’ inability to work. The federal investigation into disability fraud was launched in 2011 after a page-one article in The Wall Street Journal revealed widespread disparity in how some states and U.S. territories implement the Social Security Disability Insurance (SSDI) program. The chances of winning benefits could vary widely based on where someone applied for benefits, even though standards are supposed to be uniform. The program is overseen by the Social Security Administration (SSA) in Baltimore, but the State Disability Determination Service (DDS) is responsible for performing an initial screening to determine eligibility. 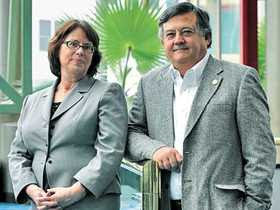 Social Security officials said in 2011 that Puerto Rico had rigorous standards and a virtually nonexistent error rate. Disability examiners and federal judges say mental disorders are harder to measure. decisions are often based on medical opinions contained in Consultative Examinations (CE) issued by doctors to make a determination. This probe that has been ongoing for two years. Federal authorities have made 68 arrests in Puerto Rico alone. The inspector general from the U.S. Social Security Administration has stated that prosecutors have now also charged a former Social Security employee as well as three doctors with having taken part in assisting individuals in making false disability insurance claims. They worked to help individuals to falsely claim that they were too injured or sick to be able to work. In return, the suspects were allegedly provided a certain portion of the disability insurance payments of the scammers. Typically, the cuts that they received from the disability insurance payments ranged from $150 to $6,000. Among those who were charged, dozens included individuals who had actually made these fake claims. The arrests come on the heels of an investigation that had been conducted by the Wall Street Journal in 2011, which looked into unusual claims that were being made in Puerto Rico. This case also draws attention to an increasing problem that the federal government is currently facing, which is the ballooning disability insurance payments within a program that has standards that are notoriously soft regarding the actual definition of what a disability actually is. For instance, in 2011, when the investigation began from the news paper giant, the federal payments in that program reached $190 billion. It has been suggested that the reason that disability insurance payments have been growing as quickly as they have – now paying out to over 14 million Americans – is that it has become a sneaky safety net for individuals who are unable to find adequate jobs, but who desperately need to make an income, as the average annual payment is up to twice the income of employment at minimum wage. Another contributor to the growth is that the average age of the workforce is getting higher, and older individuals have a higher risk of experiencing health problems. SSDI was designed as a way to provide benefits for people who can’t work because of mental or physical health problems, and Americans can qualify for benefits because of ailments ranging from severe back pain to terminal cancer. A lifetime of benefits, including access to Medicare, can cost the government about $300,000 a person. The program became a safety-net-of-last-resort for millions of Americans during the recent economic downturn, including many who had collected unemployment benefits and had hoped to return to the workforce. SSDI had 7.6 million beneficiaries in 2003, and that number swelled to 10.9 million by the end of 2012. More than 200,000 of the beneficiaries are in Puerto Rico, according to federal data. SSDI paid out $136.7 billion in disability benefits last year, almost twice as much as the government spent on food stamps. The vast majority of people who receive disability benefits never leave the program to return to the workforce. Social Security Disability Insurance (SSDI) is a federal entitlement created in 1956 as an insurance plan for long-tenured workers with the misfortune of becoming disabled before retirement. Today, the program has ballooned into a $135 billion behemoth threatening to collapse under its own weight. Left unchecked, decades of loose standards and poor enforcement may cause a collapse of the system that would culminate in thousands — if not millions — of deserving recipients being deprived their rightful benefit. Federal disability insurance began from humble beginnings, but unfortunately, over time, has grown dramatically, and today the fastest-rising cost for Social Security is not retiring baby boomers, but skyrocketing disability insurance benefits. In 1970, the disability insurance program was financed with a payroll-tax rate of only 0.8 percent of wages. Today, the cost of SSDI has tripled relative to the 1970 level with disability benefits now making up 18 percent of all Social Security costs. This is a marked difference from 10 percent in 1990. The number of people on SSDI in 2012 exceeded the entire population of New York City at more than 8.7 million participants. The biggest contributing factor has been the ease with which benefits can be obtained. While it is tempting to blame the aching knees and backs of an aging population, the truth is that American workers are healthier and fitter today than they were when SSDI was in better fiscal shape. Instead, the answer is the program has grown soft around the middle for three reasons: low standards, enticing benefits and far too little control over its own screening process. It is unfortunate that the disability insurance program has morphed from a program for permanently disabled workers with a substantial work history who were over the age of 50 to a rapidly growing program covering an increasing number of marginally disabled workers. The screening process of approving SSDI applicants, once run by the Social Security Administration, has been foisted upon a system of appeals run by an overworked and underregulated network of administrative law judges (ALJ). In this system, a growing amount of applicants and their well-practiced lawyers have come to treat initial approval-or-denial of benefits as merely the first stop on the way to an appeal, where the odds of success are higher. Worse, these lawyers face badly orchestrated incentives that can cost taxpayers dearly. Part of the solution for rising disability costs is to refocus benefits on the most disabled individuals, coupled with incentives for employers to keep disabled people working. In 2010, one out of every 50 working Americans applied for federal disability benefits. Furthermore, with a challenging employment market, this program has also functioned as a fallback for workers without employable skills. Only half of those who enter the disability rolls will ever return to the workforce. The expansion of this program is troubling even in a booming economy. In a country with a nearly $17 trillion national debt the fiscal unsoundness of this program is even more alarming. The program is growing faster than the payroll-tax revenues that fund it, and the Congressional Budget Office predicts that the SSDI trust fund will be entirely depleted by 2016. At that point, barring legislation to further fund SSDI, the program will be forced to begin paying smaller benefits, or will raid another program such as Social Security’s Old Age and Survivors Insurance trust to cover the balance. Grappling with the problems posed by a rapidly expanding SSDI system would be simpler if it were the case that the working-age population had simply gotten older and less able to earn a living. Instead, the principal drivers of SSDI growth are a loosening of eligibility requirements, increasingly attractive benefits and an application process that has become incapable of distinguishing between truly disabled workers and those who should be rejected. Together, these three factors have combined to create a modern SSDI program very different than the one envisioned by its architects. Going forward, it is essential that Congress take significant steps to rein in SSDI’s growth. Those changes will inevitably be decried as insensitive and unjust, but they are essential. To do nothing — to continue to prioritize the able-bodied over the truly infirm — is far worse. By MacMillin Slobodien , an executive director of Our Generation, a nonprofit advocacy group, which is launching the Reform SSDI Now project. Driven to reduce a huge backlog of disability claims, Social Security is pushing judges to award benefits to people who may not deserve them, several current and former judges told Congress Thursday June 27, 2013. The approval rates among ALJs can be quite arbitrary. One ALJ might reverse 9 out of 10 cases and another might deny 9 out of 10 cases. It all depends on the luck of the draw. A former Social Security Judge, J.E. Sullivan, said, “The only thing that matters in the adjudication process is signing that final decision.” Sullivan is now an administrative law judge for the Department of Transportation. The House Oversight and Government Reform Committee is investigating why many judges have high approval rates for claims already rejected twice by field offices or state agencies. Two current and two former judges spoke at a subcommittee hearing. The number of people receiving Social Security disability benefits has increased by 44 percent over the past decade, pushing the trust fund that supports the program to the brink of insolvency. Social Security officials say the primary reason for the increase is a surge in baby boomers who are more prone to disability as they age. 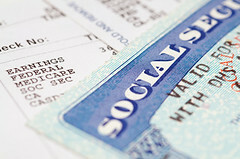 Deputy Social Security Commissioner Glenn Sklar noted that the vast majority of disability claims are initially denied. “I think the data kind of speaks for itself,” Sklar told lawmakers. To qualify for benefits, people are supposed to have disabilities that prevent them from working and are expected to last at least a year or result in death. According to Social Security data, there were errors in 22 percent of the cases decided in 2011, Sklar said. He said some errors were procedural and did not necessarily result in incorrect decisions. “The true wrong rate would be less than 10 percent,” Sklar said. Nearly 11 million disabled workers, spouses and children get Social Security disability benefits. That compares with 7.6 million a decade ago. The average monthly benefit for a disabled worker is $1,130. An additional 8.3 million people get Supplemental Security Income, a separately funded disability program for low-income people. Social Security disability claims are first processed through a network of local Social Security Administration field offices and state agencies called Disability Determination Services. About two-thirds of initial claims are rejected, according to agency statistics. If your claim is rejected, you can ask the field office or state agency to reconsider. If your claim is rejected again, you can appeal to an administrative law judge, who is employed by Social Security. In 2007, the average processing time for a hearing was 512 days. Today it is 375 days, Sklar said. The agency has reduced the wait time even as the number of applications has increased. But the judges who testified Thursday said the quality of their decisions has suffered. So far this budget year, the vast majority of judges have approved benefits in more than half the cases they’ve decided, even though they were reviewing applications typically rejected twice by state agencies, according to Social Security data. Of the 1,560 judges who have decided at least 50 cases since October, 195 judges approved benefits in at least 75 percent of their cases, according to the data analyzed by congressional investigators. “The Social Security Administration has failed to take steps to address the problem of rapid disability growth, probably because the agency has failed to recognize many of the problems,” said Rep. James Lankford, R-Okla., the subcommittee chairman. None of the judges who testified spoke of being specifically ordered to award claims. Three said they had been pressured to decide cases without fully reviewing medical files. The judges described a system in which there is very little incentive to deny claims, but lots of pressure to approve them. It requires more documentation to deny a claim than to approve one, said Sullivan, the former Social Security judge. Also, rejected claims can be appealed while approved claims are not. The Association Of Administrative Law Judges(AALJ), union representing administrative law judges, says judges are required to decide 500 to 700 cases a year in an effort to reduce the hearings backlog. The union says the requirement is an illegal quota that leads judges to sometimes award benefits they might otherwise deny just to keep up with the flow of cases. according to a federal lawsuit filed by the judges’ union in April. The Social Security Administration says the agency’s administrative law judges (ALJs) should decide 500 to 700 disability cases a year. The agency calls the standard a productivity goal, but a lawsuit filed in April 2013 by the Social Security Judges against the Commissioner and the Agency claims it is an illegal quota that requires judges to decide an average of more than two cases per workday. The lawsuit raises serious questions about the integrity of the disability hearing process by the very people in charge of running it. It comes as the disability program faces serious financial problems. The agency denies there is a case quota for judges and says the standard is a productivity goal. “I find it interesting that there is so much wringing of the hands about a judge who pays almost 100% of his cases, as if the agency didn’t know about it, as if the agency wasn’t complicit in it, as if the agency didn’t encourage it,” said Marilyn Zahm, a Social Security judge in Buffalo, NY who is an executive vice president of the Association of Administrative Law Judges (AALJ), the judges’ union. 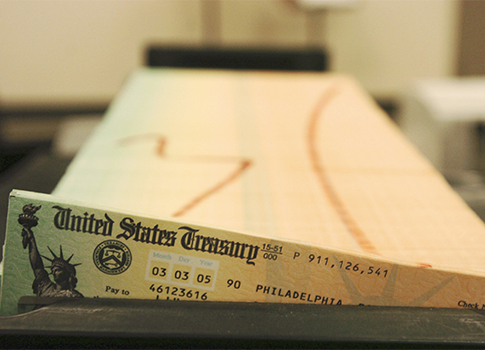 If Congress doesn’t act, the trust fund that supports Social Security disability will run out of money in 2016, according to projections by Social Security’s trustees. At that point, the system will collect only enough money in payroll taxes to pay 80 percent of benefits, triggering an automatic 20 percent cut in benefits.